Only in Japan would a guy bent on coming up with a new brewskie start by requesting sixteen seeds of a nearly annihilated strain of barley from the Department of Agricultural History, then spend years cultivating his little two-foot-square patch of grain into a crop big enough to malt for production! After-work company drinking parties owe everything to Shōgun Tokugawa Yoshinobu for trying the strange new drink brought by the yellow-haired Dutch barbarians, which led to the establishment of a beer brewery and the crossing of “Shikoku” noodle-making barley with “Golden Melon” American barley to make “Kaneko Golden,” a grain that would grow well enough in Japan to eventually quench the thirst of millions of salarymen. But when the beer business boomed after WWII, the local barley was replaced with more commercial imported strains, and it all but died out. Until the Kiuchi Brewery came up with the crazy idea of resurrecting “Kaneko Golden” grain by grain and combining it with”Sorachi Ace” hops from Hokkaido! In the interests of science, I made the supreme sacrifice of trying this beer myself, and I’ve got to say: mighty tasty. 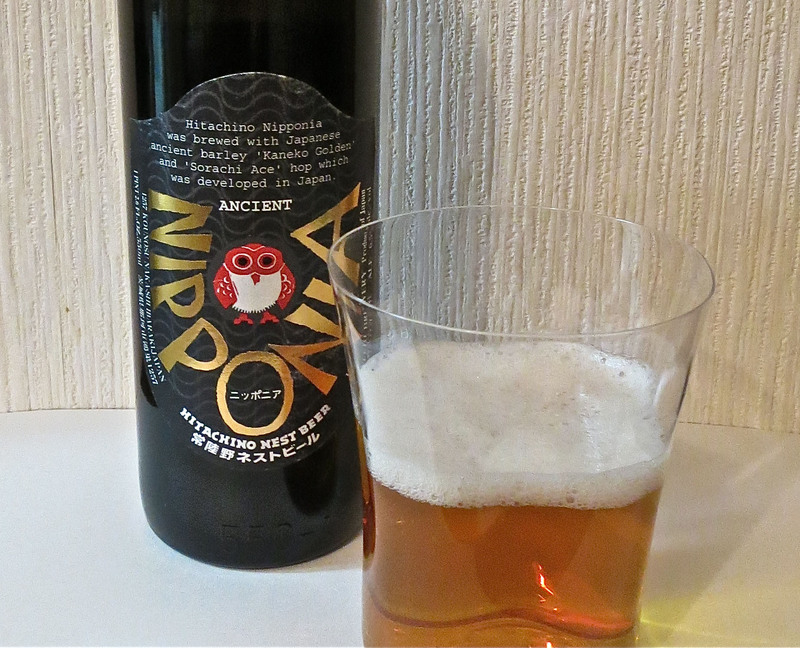 Nipponia Ancient Beer is made by the Kiuchi Brewery in Ibaraki prefecture. It’s described as being a Golden Ale/Pale Ale with 6.5% alcohol content. Thank you to Beer Pulse and BeerStreetJournal for the history lesson!